Ask a dozen Hongkongers where to get Hong Kong’s best dim sum and you’ll probably get a dozen separate answers. Like, say, ramen joints in Tokyo or pizza parlours in New York, there’s a stunning variety of dim sum restaurants here. There’s everything from fancy white tablecloth establishments housed inside luxury hotels to scruffy, rough-around-the-edges – but almost equal in quality – neighbourhood spots. And just because one place serves excellent siu mai doesn’t necessarily mean it serves equally great xiao long bao. 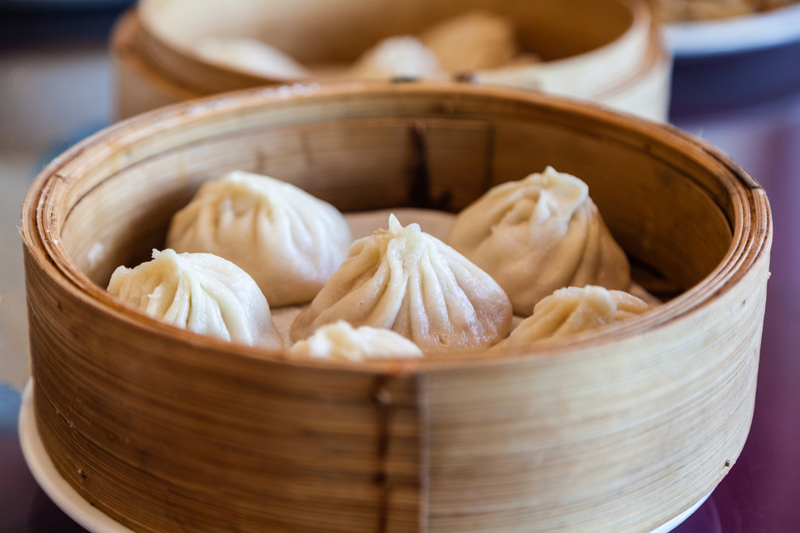 Adding further to the variation, the same dish can differ from one restaurant to the next – do you prefer your char siu bao steamed and fluffy or baked and crisp? Such diversity can be a little overwhelming for the uninitiated, but that’s what we’re here for. 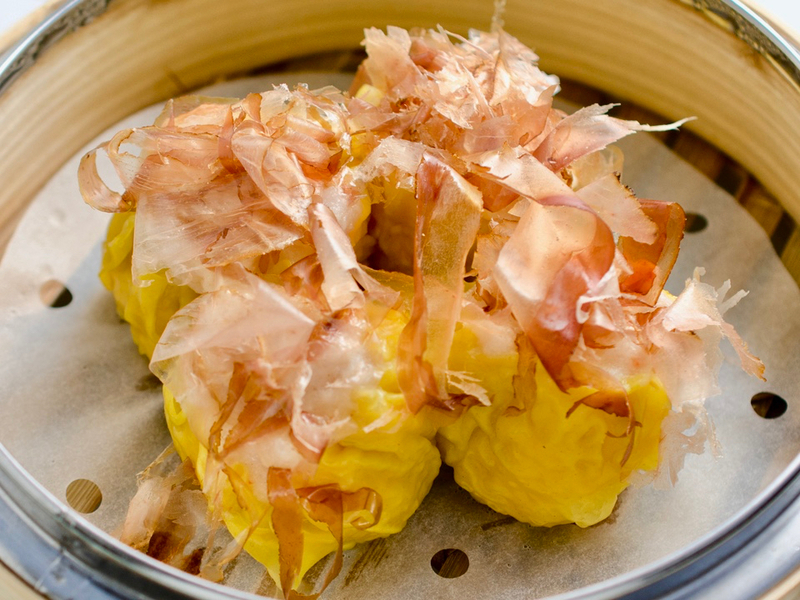 Below is a list of the very best dim sum restaurants in Hong Kong. The settings may vary, but just about everything they serve is highly recommended. There’s no point in a restaurant boasting a great sky-high view if the dishes don't reach the same dizzying heights. Above & Beyond at Hotel Icon doesn’t disappoint. The dim sum here is heavenly. 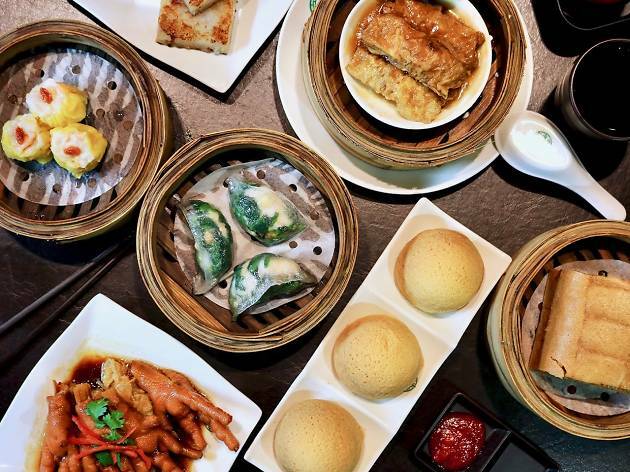 We reckon you should leave your choices in the chefs’ hands at lunch and go for the dim sum platter that includes treats like the steamed pork dumpling with porcini, the deep-fried shrimp spring roll with avocado and the baked whole abalone tart with diced chicken. There’s a reason this place has been showered with awards over the years. The dim sum at this Cantonese restaurant in the Sheraton is award-winning. There’s a traditional feel and authentic taste to all the fare and nearly all of the offerings are close to perfection, including the steamed char siu baos, deep-fried vegetarian spring rolls and steamed rice flour rolls with scallops and crispy squash. Dim sum literally means to ‘touch your heart’. The dishes and the surroundings at this Tsim Sha Tsui restaurant do just that to us. There’s a good few Dimdimsums across town. These restaurants are the perfect places to take someone who you’re introducing to Hong Kong’s versions of this traditional Chinese style of cuisine. All the usual suspects are on the menu and they all come at pretty reasonable prices given the excellent quality of the dishes. 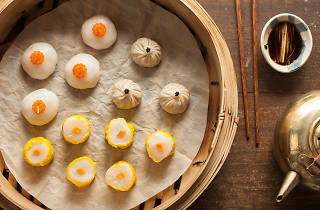 From the har gow and siu mai to the char siu baos, Dimdimsum is fast becoming a Hong Kong institution. This place is not only cute, it’s bloody cheeky too. Actually, there are two Dim Sum Icons, one in Central and one in TST, and they both tout chocolate buns with cartoon kids on them that ‘poop’ when squeezed, as well as angry pig custard buns which seemingly have yellow snot pouring from their noses if you apply enough pressure. The pieces that come with the hard sugar eyes are adorable, though. It’s all kawaii. And Instagrammable. And hilarious. And delicious. Duddell’s loves its art. And Duddell’s loves its food. 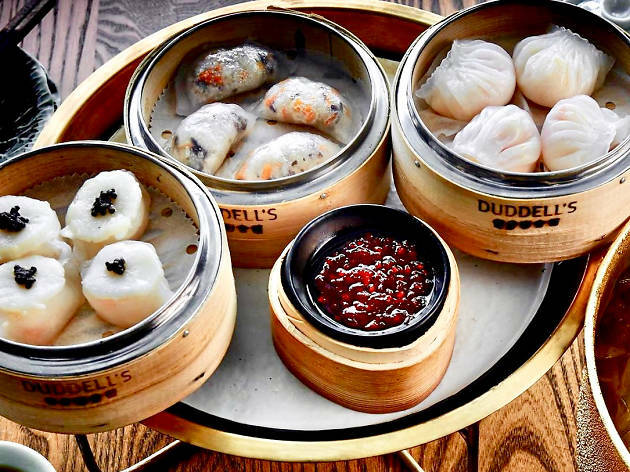 This, therefore, means Duddell’s loves its arty, hearty dim sum. Yeah, the offerings here may not be the cheapest in town but they rank among some of the tastiest. 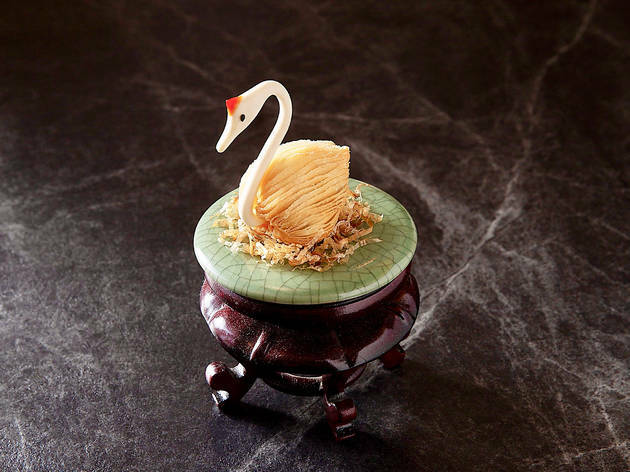 Our favourites are the abalone puffs with diced chicken for $70 a pop but we also rave about the shrimp dumplings with morel mushrooms, the chicken buns with ginger and the bean curd sheet rolls with shrimp and black truffle. To knock out food as good as this is an art in itself. Steamed minced pork dumplings with Fook Lam Moon’s stock. Steamed rice rolls with fresh shrimps. Pan-fried taro cakes with preserved meat. Honey-glazed char siu. Steamed lotus seed paste buns with salted egg yolk – we could go on and on. And these aren’t even our favourite dishes at this restaurant, which has outlets on the Island, in Kowloon and over in Macau. 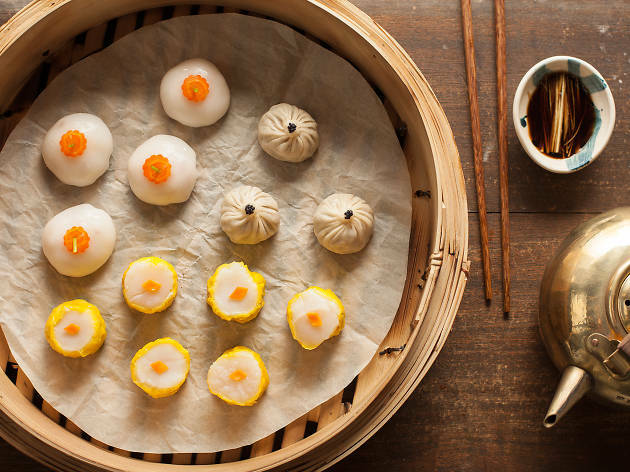 Dine on some of the best traditional-style dim sum in town at this Hong Kong institution. Named after New York’s first Chinese grocery store, Mott 32 represents the epitome of ‘east meets west’. 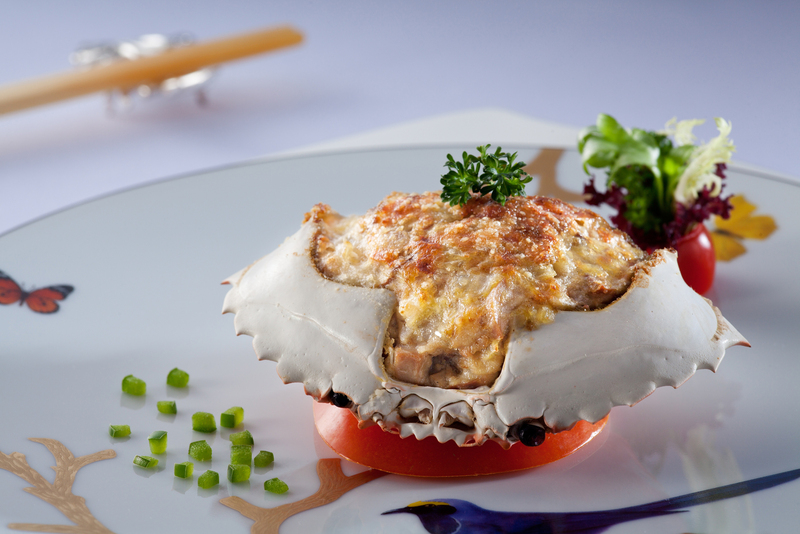 Both the food and décor reflect the ethos of the restaurant. 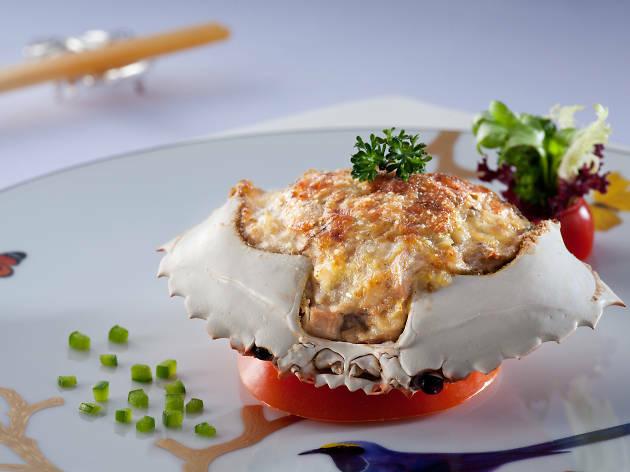 Chinese historical decorations along with classic Chinese dishes, all served with a Western twist, result in a delectable dining extravaganza. Plump for some Iberico char siu or the famous roast duck and be amazed by how these simple dishes are elevated by the superior ingredients. Awarded two stars in the most recent Michelin Guide, Sun Tung Lok was founded nearly 50 years ago by the Yuen family and has been recognised for its excellence by Michelin since 2011. 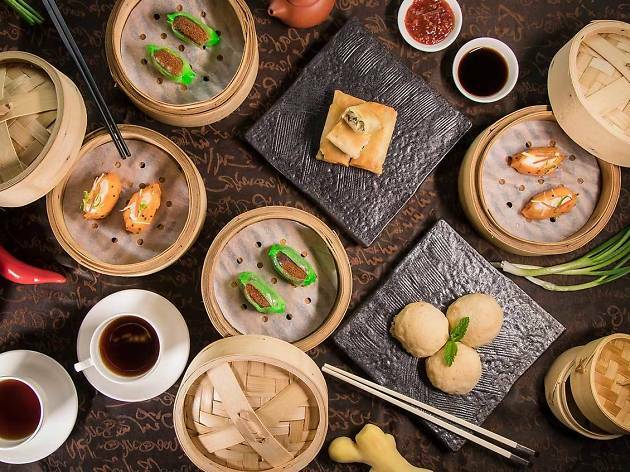 Seasonal dim sum offerings not to miss include steamed shrimp with mugwort and vegetable dumplings, steamed crab and pork dumplings with supreme soup. Since this neighbourhood dim sum spot won a Michelin award, long queues have begun to form every morning, full of anxious people waiting to get a bite of what is considered to be some of the city’s best dim sum. 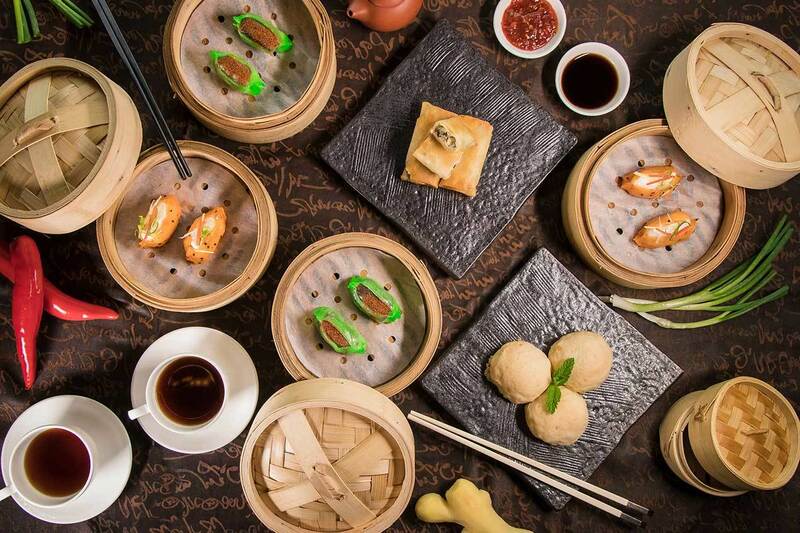 The restaurant specialises in traditional Hong Kong dumplings and haven’t budged on its deliciously low prices. Incredible dim sum up in the clouds. 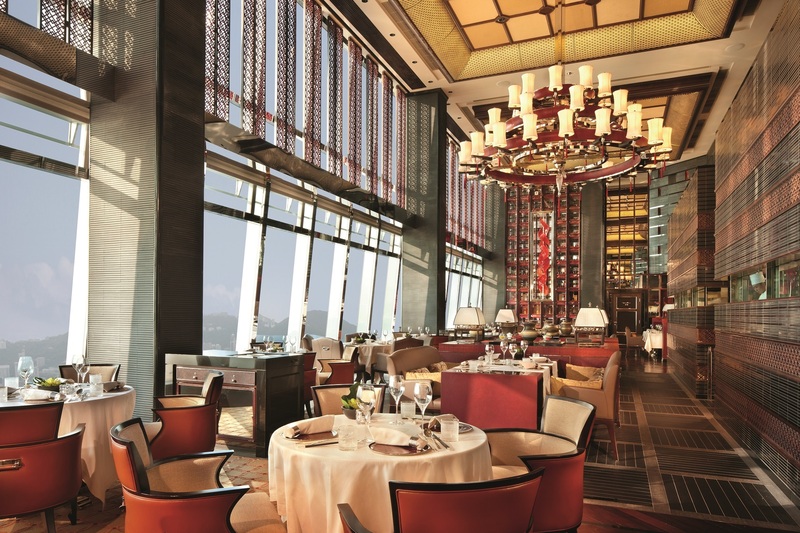 That’s what you get at this two Michelin-starred eatery 102 floors up the ICC in Kowloon. 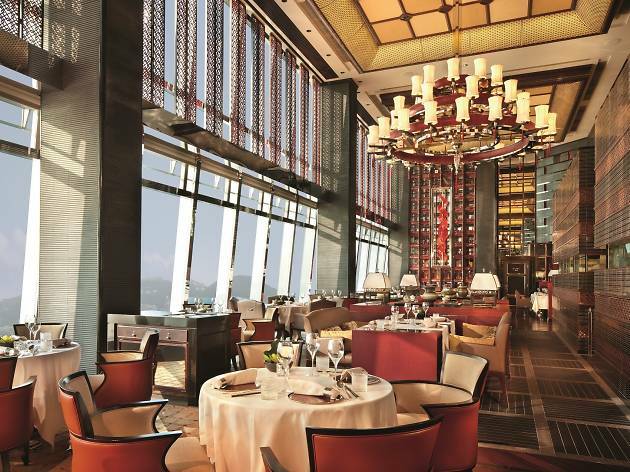 Welcome to the highest Chinese restaurant in the city, helmed by chef Paul Lau, who knocks up incredible dim sum creations here like the pan-fried turnip cake with XO chilli sauce, the baked oyster tart with black pepper and onions and the baked abalone puff with roasted goose and dried bonito. 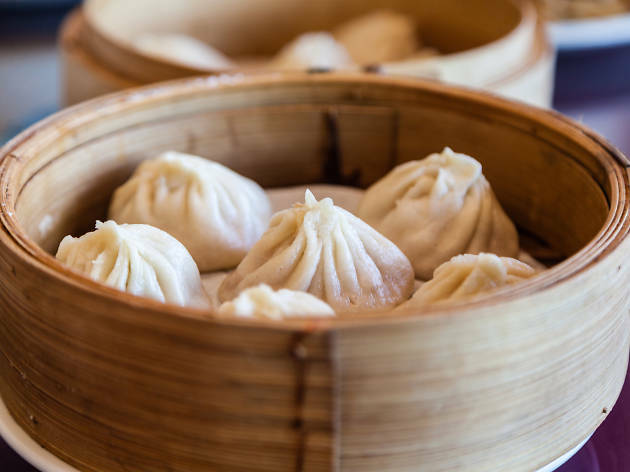 Whether you're a yum cha nut or a dumpling uninitiated, our dim sum 101 guide gives you the lowdown on the best dumplings and where to find them.